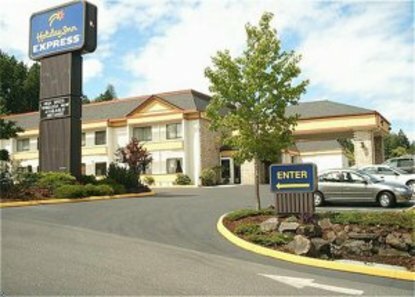 Welcome to the Holiday Inn Express Hotel Poulsbo Washington. We are located one block off of highway 305 in the heart of Poulsbo. Our Poulsbo hotel sits less than one mile from the Poulsbo Marina, where you will find many intriguing shops and delicious northwest cuisine. Only minutes from the Clearwater Casino, Bainbridge Island Ferry, Puget Sound Navel Shipyard and Keyport Bangor Subase. Complimentary shuttle service provided to and from the Clearwater Casino.Poulsbo is also well known for its many antique shops and Scandinavian bakeries. We are accessible from downtown Seattle via a short, but breathtaking ferry ride across the Puget Sound. Whether traveling on business, coming to play at Clearwater Casino, or just seeking a quiet retreat from the fast pace of city life, our Poulsbo hotel features, amenities and unequaled service will ensure your stay with us will be an enjoyable experience. Please contact us directly to inquire about special packages.We have currently finished a total renovation, making us the newest remodeled Poulsbo hotel, and we invite you to come spend a night with us to see the wonderful changes. This hotel is committed to providing accessible facilities under the American Disabilities Act. If your accessibility needs are not met, please contact the Hotel Manager on Duty. Should you require additional information regarding accessible facilities for guests with disabilities, please call 1-800-Holiday (U.S. and Canada) or contact the hotel directly. For the hearing impaired, TDD service is available at 1-800-238-5544 within the U.S. and Canada.